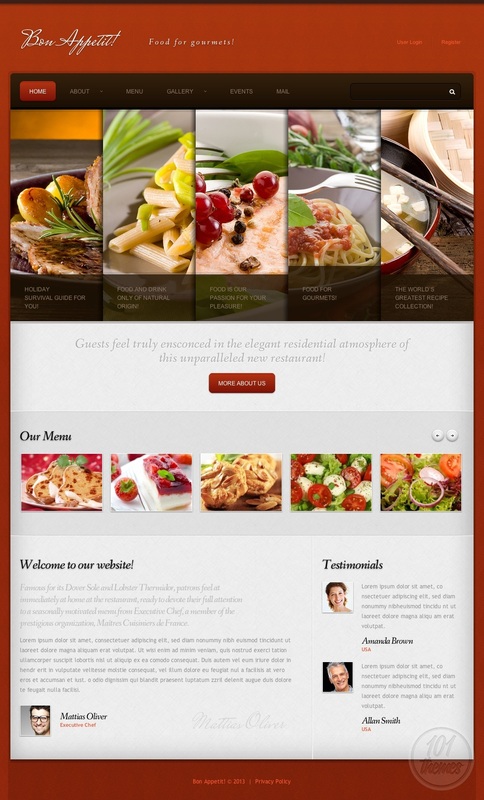 Bon Appetit is a responsive restaurant template for Joomla. 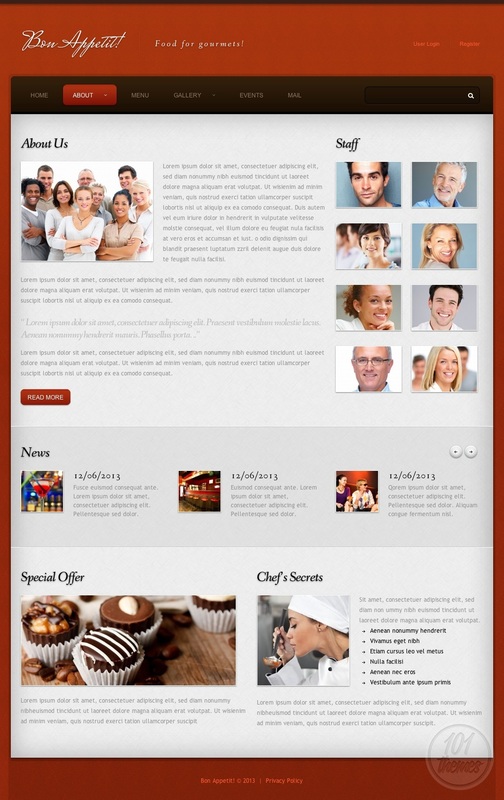 It was created by Astra and it is featured on Template Monster. The layout is very elegant and interesting. Using a brick red background with a subtle pattern and bright content space your posts and photos will be in the very center of attention. You can feature various posts on the homepage, and they will be presented in a very interesting way with photos and some teaser text. 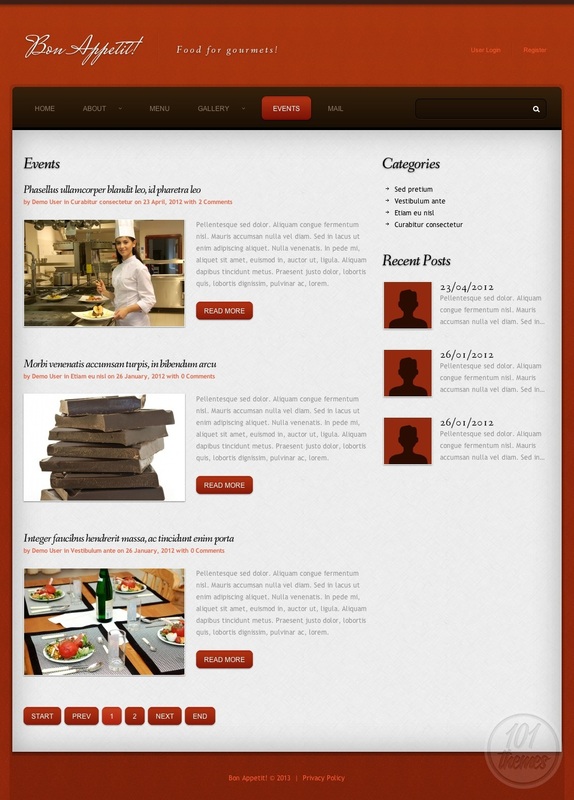 This is where you can present your services and introduce your visitors to your restaurant. You can also add a nice phrase that goes with your restaurant in the next section and there will be a “more about us” button included. By clicking on it, your visitors will be taken to a page where they can read everything you want to share with them. Various menu items can be featured on your homepage as well, and they will be shown in a nice slider form with resized photos. Clicking on each photo will lead the guests to a full content page where they can read all about the preferred dish. A nice welcoming note can be added to the homepage and presented along with a photo, and you can also display testimonials coming from your customers and have those nice words of praise enhance your website. Your visitors will be able to register their own account on your website and interact with you as they please, leaving comments on your posts. 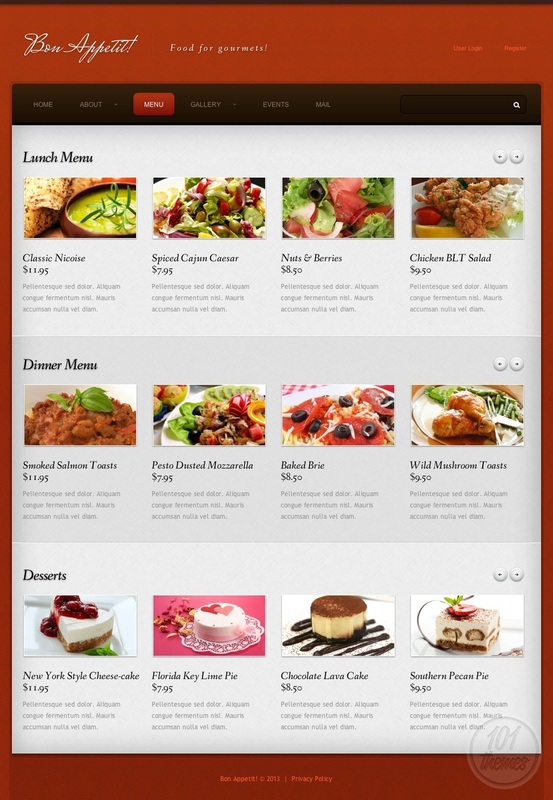 The menu looks very nice and it can be categorized so everything looks clean and neat. You can also create a gallery with photos and it can be created in 2, 3 or 4 columns. In the events section you can announce any news that might be going on at your restaurant and you can add categories to this section also. 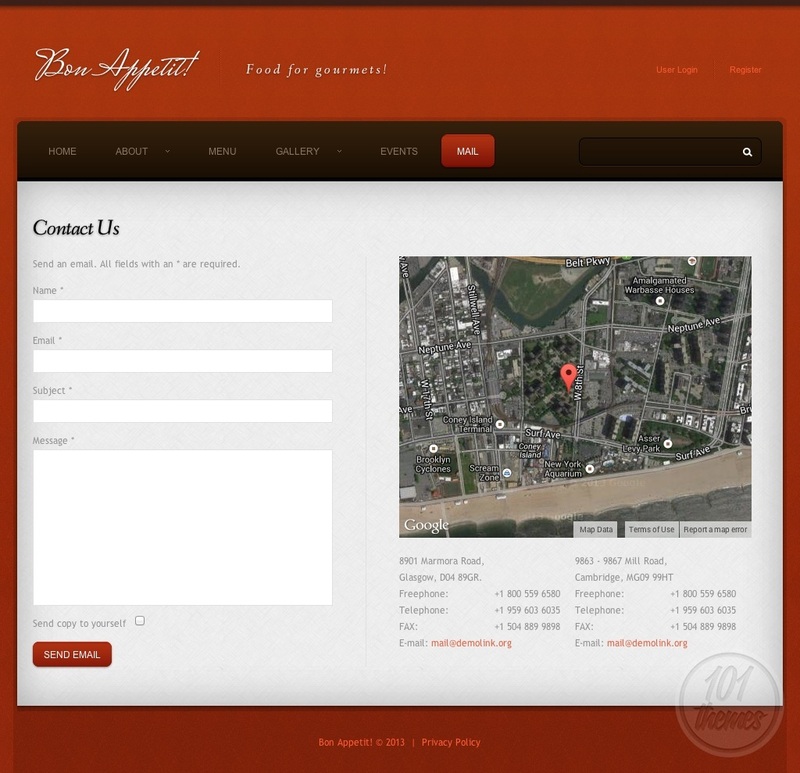 The mail page includes Google Maps integration and a contact form. This is a responsive Joomla restaurant theme and as such you can rest assure it guarantees your website is going to look perfect on all devices including smartphones and tablets.